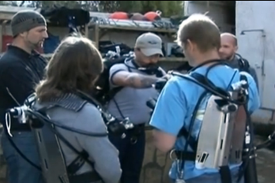 Learn To Scuba Dive Safely With Global Underwater Explorers. 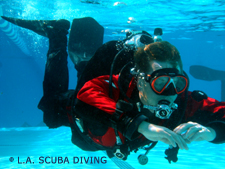 Be among the few entry-level divers who possess the knowledge & skill for sound diving practices from the very beginning. It teaches non-divers to master the art and science of sport diving through establishing a thorough understanding for diving related academics and cultivating essential skills needed to safely and efficiently enjoy exploration of the aquatic realm. It represents and entry point to GUE’s training curriculum for non-divers. It develops student capacity through beginning competency build-up with the end in mind by cultivating student proficiency towards meeting the diving industry’s most rigorous standards. It provides the solid foundation of skills required to engage in further GUE training. It orientates students to the GUE organization and its efficacy – promoting student involvement in GUE long- and short-term aspirations, such as conservation of our planet’s aquatic resources.